Home Thoughts Opinions “Tarmac Diplomacy” to the Rescue? 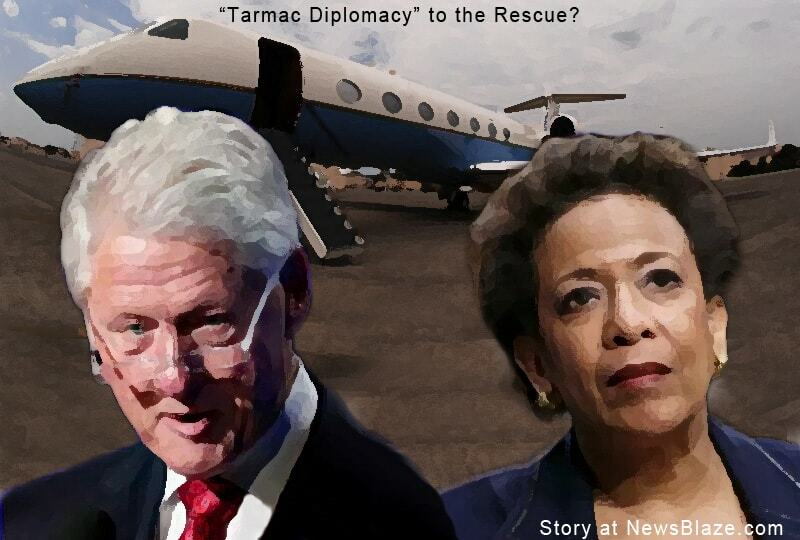 “Tarmac Diplomacy” to the Rescue? Bill Clinton, 2nd most prolific congenital liar in the Clinton household, has apparently pulled a rabbit out of a hat and, in doing so, rescued his beloved damsel in distress, the unlovable and elusive Hillary Clinton, from the clutches of the Department of Justice. Mind you, irreparable potential harm has been done to the security and safety of 330 million Americans, but the urgent PC need for a female in the Oval Office (apart from promiscuous interns!) is still within the realm of possibility this year. With $44 million in the bank with which to vanquish Donald Trump, and the unlimited services of a president obsessed with preserving his tattered legacy, Hillary will be difficult to defeat in November. However, there is a “wild card” in the mix that could yet save America. That being Russian boss Vladimir Putin who reportedly has e-mails that were hacked from Hillary’s corrupted server and which may be sufficiently damning to bring the Dump Hillary movement back to life! For the right amount of rubles and ample barrels of Vodka, the Russian dictator might be persuaded to release those e-mails to FOX NEWS, or other reliable media outlet not on the Clinton 2016 payroll. A bombshell of enormous magnitude could result … even a classic Slick Willie campaign of “Tarmac Diplomacy” might not save Hillary’s tired old body! Would it be impolitic to use a Communist bloke to bring down a Communist feminist running for US president? Probably not, but what the hey … it might work! John Lillpop is a recovering liberal. It was 1992 when he last voted for a Democrat. That is when he woke up to the democrats and progressives. Pray for John, because he lives in the San Francisco Bay Area, where people think Nancy Pelosi is actually normal.